When you create a task in a workspace, it’s assigned to you by default. 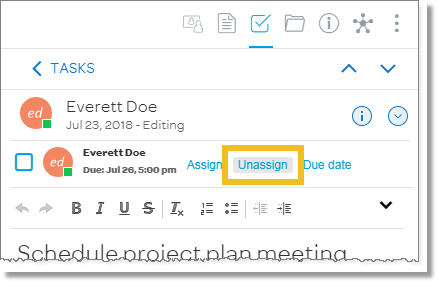 You can assign a task that is assigned to you to another member, or make it unassigned. Workspace administrators can assign or unassign any task. Click the item in the list you want to assign. The task details tab appears. 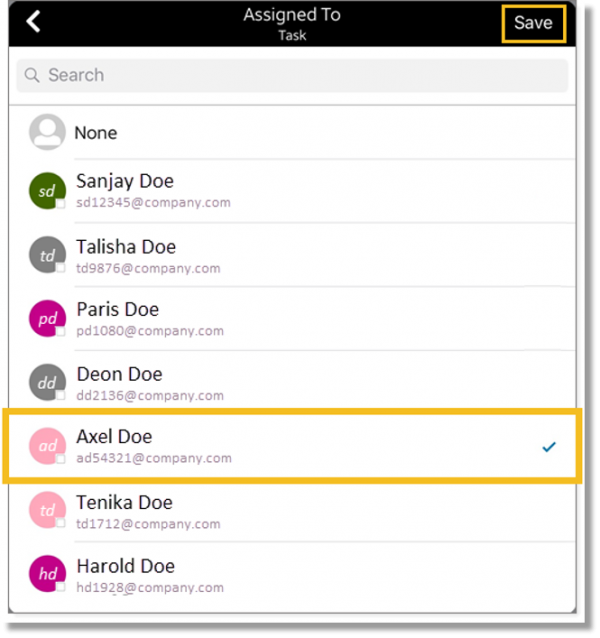 Next to the current assignee, click Assign. A list of workspace members appears. Select the member you want to assign the task to. Click the item in the list you want unassign. The task details appear. Next to the current assignee, click Unassign. In the panel at the upper-right tap, the Tasks icon. A list of tasks appears. 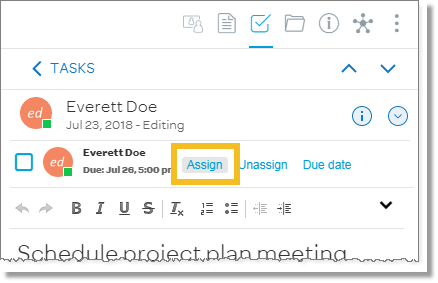 Tap the task in the list you want to assign. The task details tab appears. Tap the Info icon . In the Task Info window, next Assigned To, tap the current assignee. In the Assigned To window, tap the member you want to assign the task to. 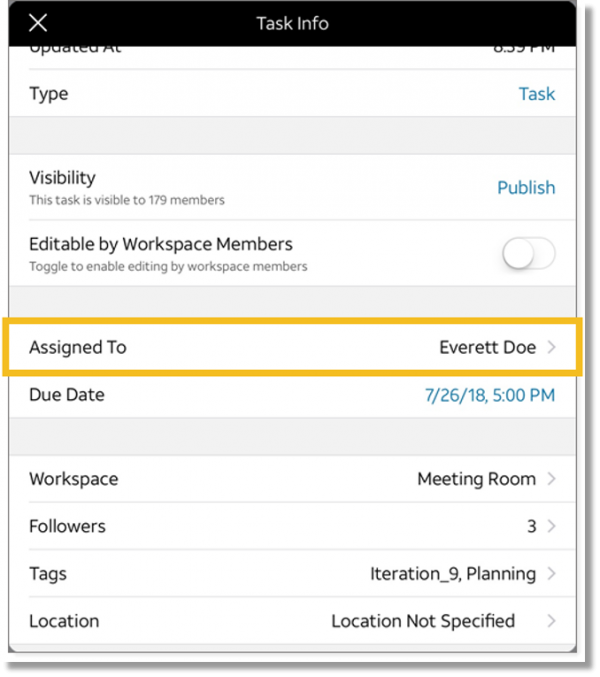 In the Task Info window, next to Assigned to, tap the current assignee. In the Assigned To window, tap None.